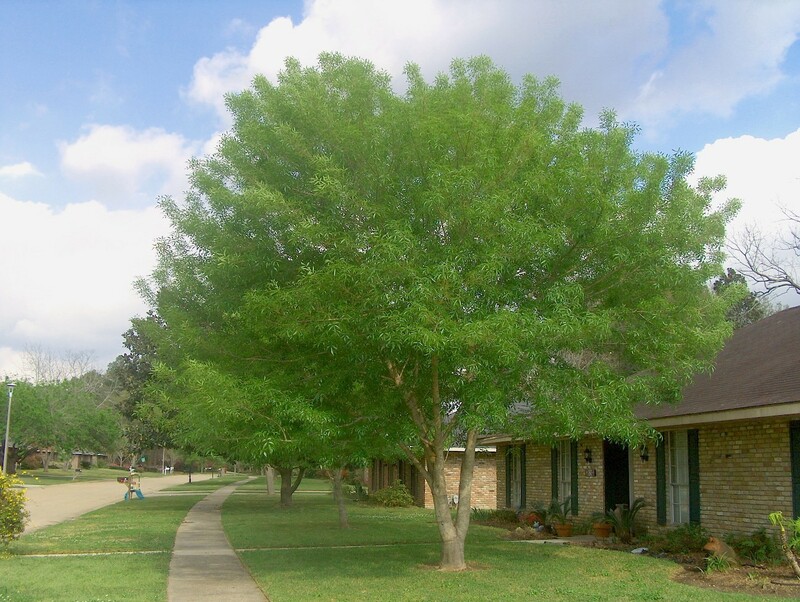 Fraxinus velutina (velvet ash or Arizona ash or Modesto ash) is a species of Fraxinus native to southwestern North America, in the United States from southern California east to Texas, and in Mexico from northern Baja California east to Coahuila and Nuevo León. Fraxinus velutina is a small deciduous tree growing to 10 m tall, with a trunk up to 30 cm diameter. The bark is rough gray-brown and fissured, and the shoots are velvety-downy. The leaves are 10–25 cm long, pinnately compound with five or seven (occasionally three) leaflets 4 cm or more long, with an entire or finely serrated margin. The flowers are produced in small clusters in early spring; it is dioecious, with male and female flowers on separate trees. The fruit is a samara 1.5–3 cm long, with an apical wing 4–8 mm broad. Fraxinus velutina is closely related to Fraxinus latifolia (Oregon Ash) and Fraxinus pennsylvanica (Green Ash), replacing these species to the south of their respective ranges; it intergrades with F. latifolia in central California (around Kern County, without a clear boundary between the species.